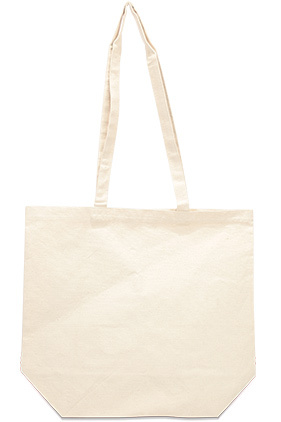 100% cotton 10 ounce heavyweight canvas tote. Extra large bag with a 6.25" gusset bottom. Extra long self fabric handles. Fantastic value priced big bag.